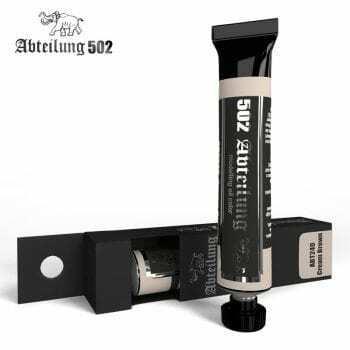 The paint is designed to be effective for airbrush and brush, and is water- soluble, avoiding strong smells and harmful solvents. Non toxic. It can be easily thinned with our specific acrylic thinner or water if necessary. We recommend AK-712 Acrylic Thinner for thinning. There’s no need to dilute the paints when you decide to use your airbrush. When applied by brush they also have a greater degree of coverage. Use alone or mix with other acrylic paints to obtain a different color. Shake before each use. Dries completely in 24 hours. This color in a subtle brown will serve you to work on brown tones or wheatering and decolorate camouflages in any brown tone. The Air series paint is designed to be effective for airbrush and brush, and is water- soluble, avoiding strong smells and harmful solvents. Formula ultra-resistant and satin. Nontoxic. It can be easily thinned with our specific acrylic thinner or water if necessary. We recommend AK-712 Acrylic Thinner for thinning. There’s no need to dilute the paints when you decide to use your airbrush. When applied by brush they also have a greater degree of coverage. Use alone or mix with other acrylic paints to obtain a different color. Shake before each use. Dries completely in 24 hours. High quality metallic colors developed with outstanding pigments, and especially formulated for the modeler to achieve the best results. Resistant to any kind of weathering, with ultra-high coverage power, high sheen, there is no need to prime due to its resistance and will not damage the plastic, and you can varnish without altering its glossiness. These are quite simply the highest quality metallic paints ever seen.